80% of break-ins occur through a first story door or window. Door/Window sensors are your primary line of defense against intrusion. 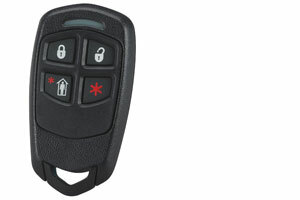 The Key-chain Remote provides a convenient way to control your alarm system. It operates with the push of one button, which means you have no special codes to remember. 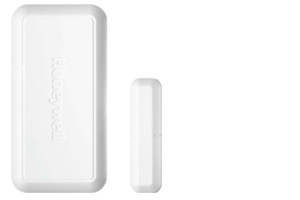 Our wireless panic button gives you added peace of mind from anywhere in your home or business. It can be worn as a necklace, clipped on your belt, placed in a purse, or hidden in a drawer. Simply press and hold the button and the authorities will be notified. 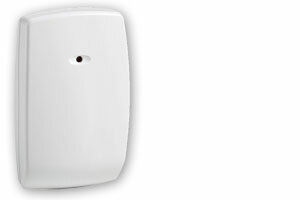 As the name suggests, motion detectors sense the movement of an intruder within the home. They are strategically placed in areas such as family rooms and hallways through which an intruder must pass to reach other critical areas. Our pet-immune motion detectors can be used with pets up to 40lbs. Glass break detectors allow the detection of an intruder before he enters your home. As soon as a window is broken the siren sounds. With sophisticated area microphone technology, a single glass-break detector can protect an entire room, rather than just one window. Fire safety is a necessity, but conventional battery-powered smoke detectors work only if you’re home to hear them. Our state-of-the-art smoke/heat detectors are monitored 24/7 and allow us to notify the fire department whether you’re home or not.